After nearly twenty years in financial services, I felt that there was a major piece of the puzzle missing from traditional financial planning. If people are struggling in other areas of their lives, it creates an obstacle to achieve success in their finances. Based on this premise, I founded Donaldson Financial Wellness Network, LLC so that I could pull together professionals from all areas of life – financial, emotional, physical, spiritual – and help my clients realize their true, unlimited potential. If you are seeking more than just financial advice and you would like a dedicated partner to help you achieve all that you were meant to be, please call today to arrange for a consultation to discuss how I might be able to assist you. BILL DONALDSON, CFP®, is the founder of Donaldson Financial Wellness Network, LLC. located in Westport, CT. In addition to the Certified Financial PlannerTM designation, Mr. Donaldson is also a Certified Money Coach. Bill has advanced training as a divorce mediator and as a financial specialist in the collaborative divorce process. 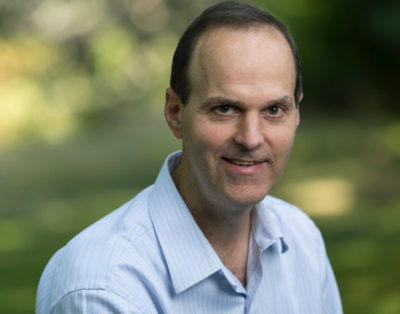 He completed the Master of Science in Taxation (MST) program at the University of New Haven in 2010 and lectures nationally on the topic of divorce finance and taxation. His passion to help people was initially realized in a fifteen year career as a police officer, most of which was served as a CT State Trooper. He retired from the State Police in 2002 to turn his part-time financial advisory practice into a full-time second career. Bill has led many leadership positions in various professional organizations including director, treasurer and co-president of the CT Council for Non-Adversarial Divorce, President and co-founder of the Collaborative Divorce Team of CT, director of the Association of Divorce Financial Professionals, and is currently serving as the membership chair in the Westport chapter of the National Association of Divorce Professionals. He currently lives in Newtown, CT with his wife Kristen and son Robby.In his spare time Bill is an active leader in his local and regional cub scout organizations and serves as treasurer for Two Coyotes Wilderness School. He enjoys spending time in Vermont with his family at their rustic cabin in the woods. Whether you’re going through divorce, loss of a loved one, retirement or change of carreer, there are a lot more than financial issues happening in your life. It’s a challenging time and sometimes making important financial decisions is especially difficult. With nearly 15 years of specializing in financial transitions (mostly divorce), I’ve helped many individuals transition to their new life by offering compassionate, supportive advice that’s always in her or his best interest as well as providing resources to other areas beyond my expertise. As a Certified Money Coach, I also help people in transition face their fears around money which often times are surfacing after a long, dormant period. Being thrust into making financial decisions during and after a major transition can be a serious challenge. Uncovering where those fears are coming from is the first step toward transformation and empowerment. If you are ready to go beyond traditional financial advice and strive for financial wellness, please contact me today for a consultation.